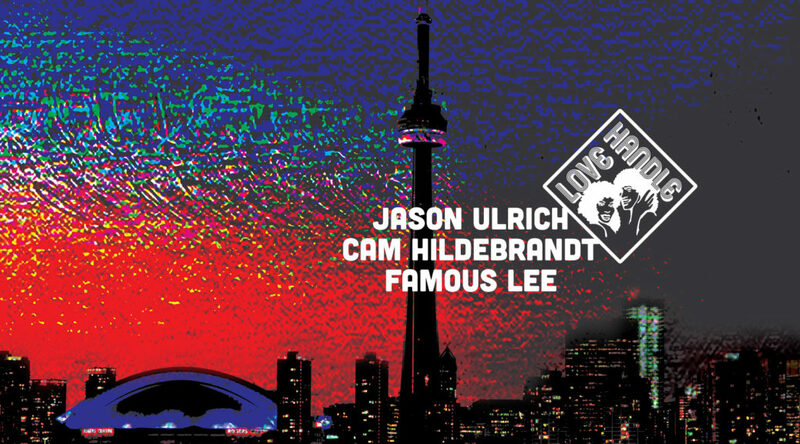 Love Handle keeps steppin up its’ game by bringing to Toronto the absolute best in Dj’ing talent from across the continent. This month’s guest is an OG in the Chicago music scene. Cutting his teeth in the early 90’s as part of the Chi-town rap group All-Natural, Tone went on to rock the early 90’s DMC’s as well as touring the world. However, it’s his label Al-Tone Edits which has got the boogie/funk/disco scene in a lather. 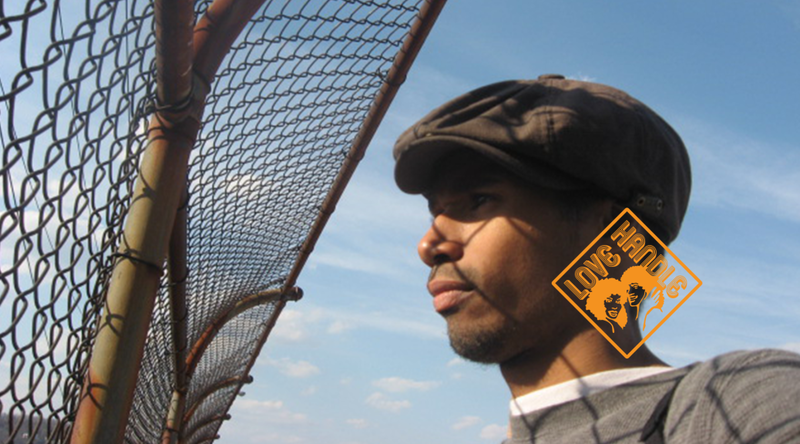 His knowledge of rare gospel infused boogie is at a premium, and Love Handle is incredibly happy to bring you the maestro, Tone b Nimble for his first Tdot appearance this Century! 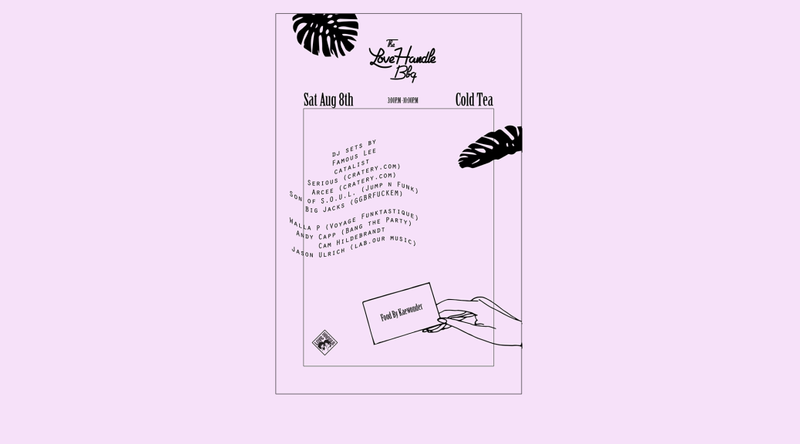 The last Love Handle of the summer is going to be a stunner. 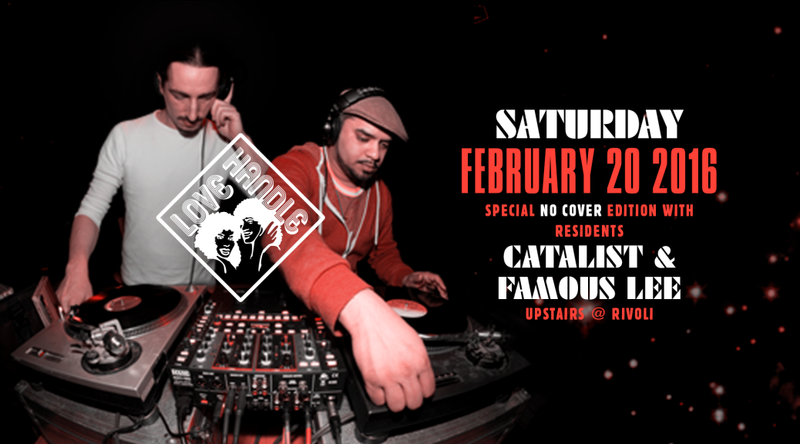 The best long running all vinyl 80’s FUNK, Disco, Modern Soul and BOOGIE party is on an express run through the city! 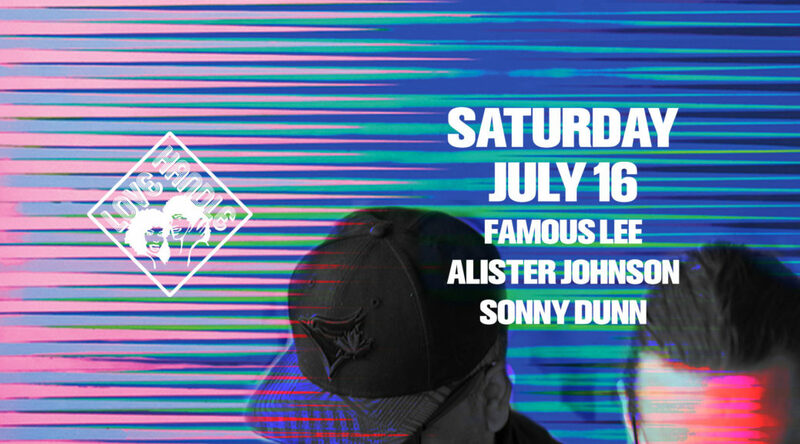 The FUNK is hittin’ the FAN (we will find one for the dancefloor), on Saturday July 16th as locals Alister Johnson, Sonny Dunn and Famous Lee play the music to make your BODY ROCK! 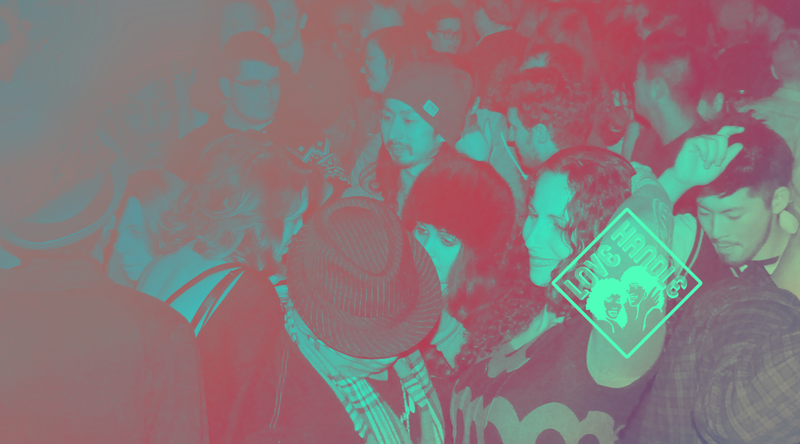 Gil Masuda has been a staple in the underground Toronto music scene for nearly two decades. Under his ‘Astro’ guise he played host / Dj with the renowned Circle Research Crew during their run on CKLN. The insanity that accompanied the 2-6am slot brought out the best in Gil’s future sonic adventures. With over 100 releases under Circle Research (including 3 LPs) Gil is no newbie to the game. However it’s his new project with Circle Research compadre Nik T as well as Modern Funk junkie Tyler Smith, that has the heads buzzing. 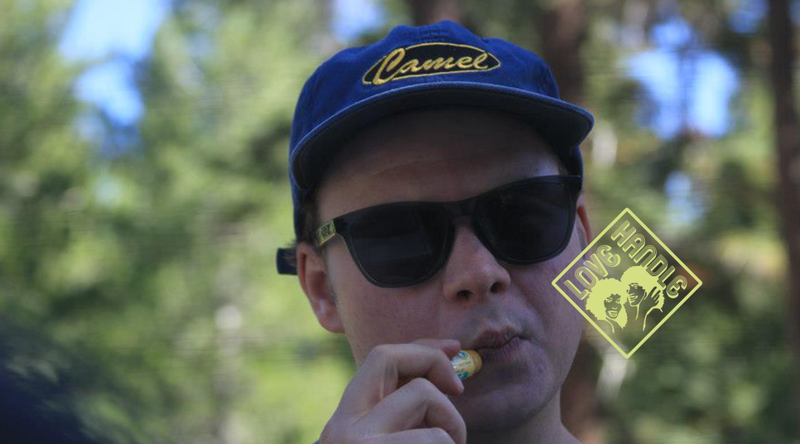 Check the Precious Lo’s take on Modern Funk / Boogie with their debut EP. And in the meanwhile, listen as Gil works the one’s and two’s with an all vinyl Love Handle set of funky sooky sooky. Buckle up FUNKsta’s Love Handle is shifting gears in a huge way! 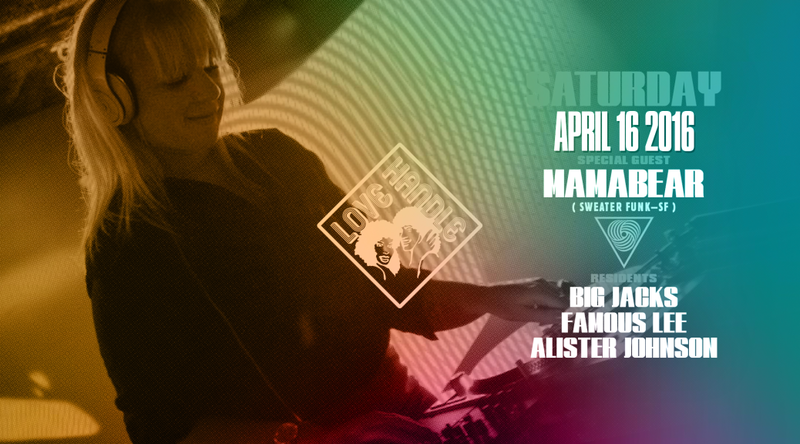 For April’s edition we’re welcoming Sweaterfunk regular Dj MAMABEAR for her first (of many, we hope) Toronto appearance. As a young girl growing up in Southern California, Mamabear’s musical tastes were formulated by spending nights in the roller rink, catching air to funk and hip hop as well as taking note from her parents new wave records. Fast forward to 2007 when she purchased her first pair of Technics and put her music filled childhood to work; she went from playing in her bedroom to making her DJ debut in San Francisco, holding down multiple residences (Double Dutch, Butter) and in 2009 became part of the Sweaterfunk crew, the most dedicated purveyors of boogie all on vinyl. Over the years the crew has hosted Dam-Funk, PB Wolf, Steve Arrington, Leroy Burgess, Howard Johnson, Onra, Psychic Mirrors, DJ Spinna, and Daz-I-Cue to name a few. In 2010, Chicago was calling her name. She spent 2 years living in The Birthplace of House Music, learning the art of long blends and how to get lost in the 4-on-the-floor. Chicago welcomed her with open arms and during her short time there, was a fixture at Simone’s Bar, Rodan and Alive One. After Chicago, MB moved to Las Vegas where she held residency at Insert Coins in DTLV, exposing the city to a sound that was different to what is usually played on The Strip. Seeking a return to her roots, in 2015 she returned to LA to re-establish where it all began. As a frequent guest on Dublab, she was given her own show titled “The Honey Pot” which showcases Boogie, Modern Soul and 2-Step. Drawing inspiration from the many cities she has called home, MB is eager to spread the honey and share that eclectic experience which is essential to her sound. 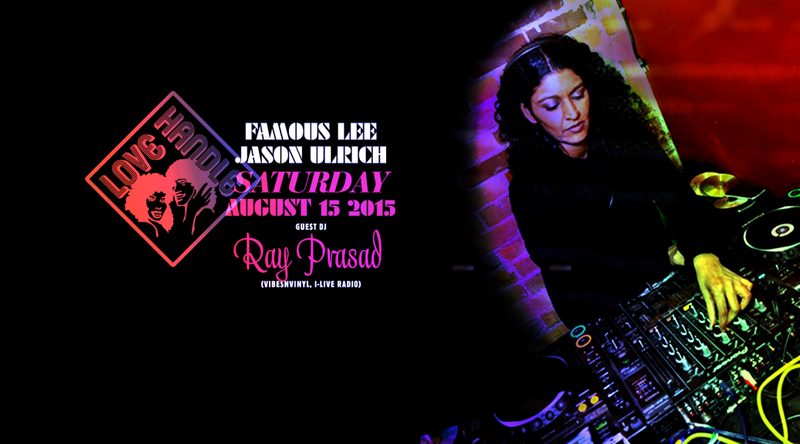 Accompaning Mamabear on the ones and two’s will be Love Handle residents Famous Lee, Alister Johnson & Big Jacks. 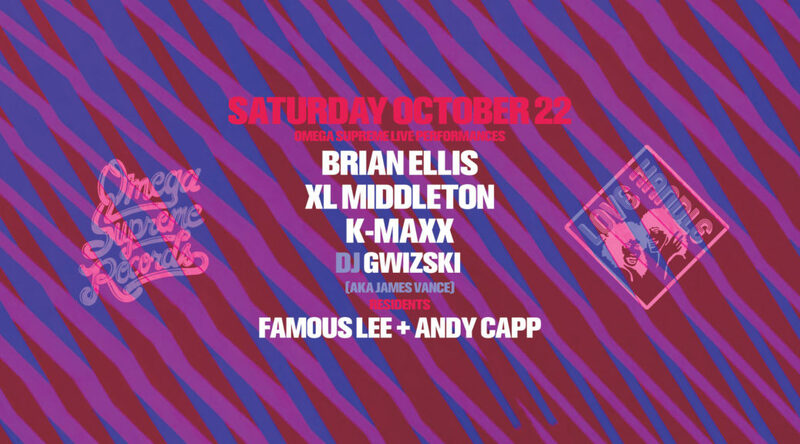 This will be the all vinyl FUNK jam to knock yer socks off!! 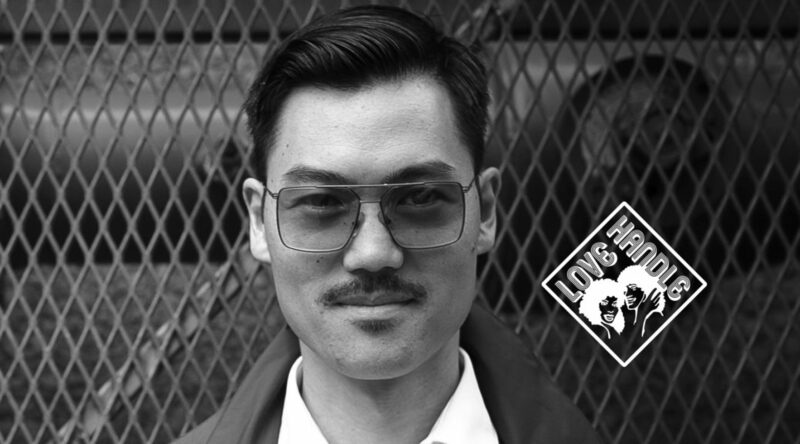 Love Handle’s Building Block Series continues and COTTDAMN is it a doozy! 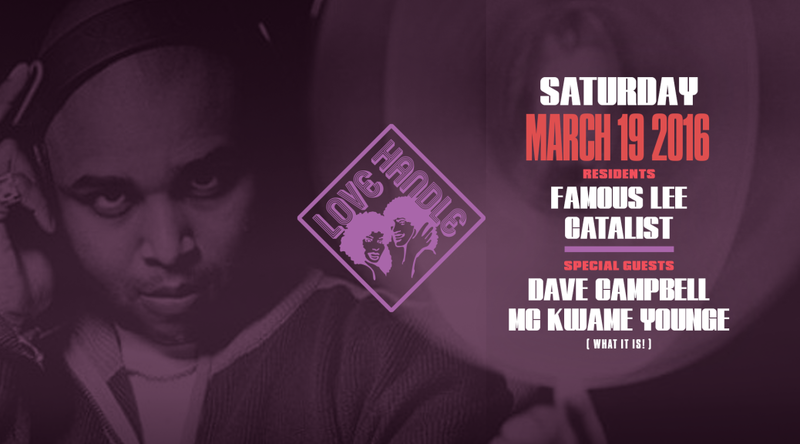 March’s event welcomes one of the true loadstones of Canadian dj culture, Dave Campbell. Some Dj’s “break” records in Toronto, meaning they play it in Toronto before it gets played anywhere else. Dave Campbell has broken genres in Toronto. A veritable music encyclopedia, he’s performed across Canada as well as in the US, Europe, China and the Philippines. Dave has that special knack for getting a crowd grooving to his beat, so it’s no surprise that he’s shared the stage with legends like DJ Jazzy Jeff and Jam Master Jay (RIP) or opened performances for megastars like Usher and Kanye West at the ACC. 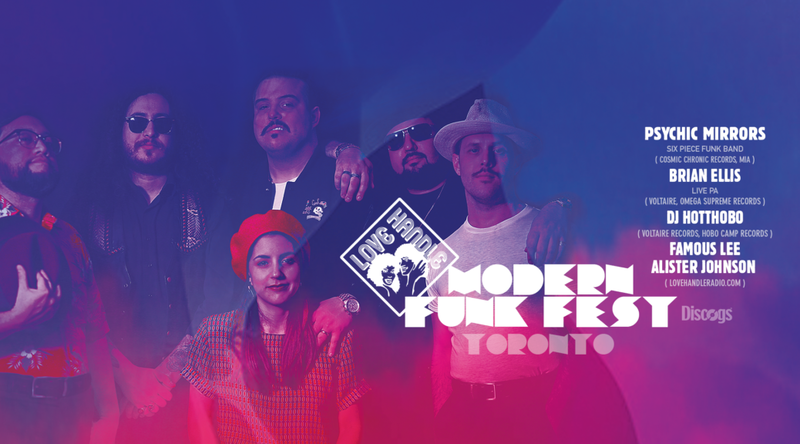 Throw in private parties with the likes of the legendary Prince and the Venetian Ball with the revered Stevie Wonder, and you can see why Dave is a highly respected influence in Toronto’s Dj scene. He was the first DJ to have a residency on Canadian TV with Much Music’s X-Tendamix, and has won awards for acheivement in both house and urban music. The dream team matchup keeps going strong, especially with Tdot’s Original Host with the Most, Kwame Younge pon de mic you can see that we ain’t playin!!!! 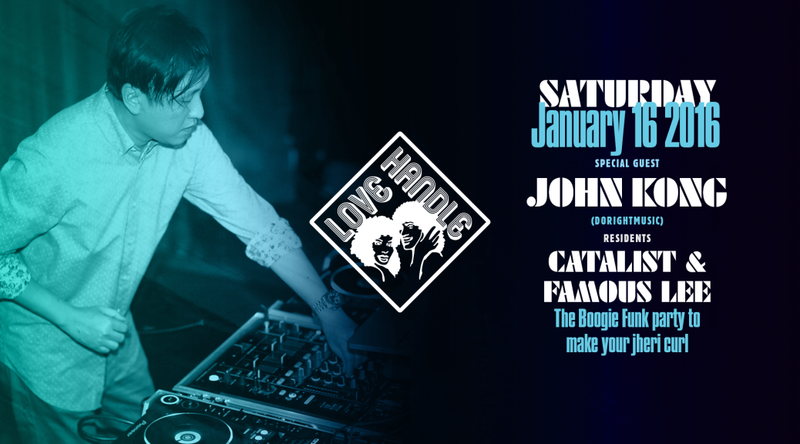 As usual, Love Handle residents Famous Lee and Catalist will be on hand to keep ya body jumpin, but yawl already know this night will belong to the dancers! Like the animals queueing up for the Ark two by two, Famous Lee & Catalist dig deep into their crates and run a two for two session for your own personal extinction level event. Love Handle is coming back atcha like returning peace doves in the sea of life. There aren’t too many people who work a Tdot dance floor like Paul E. Lopes. 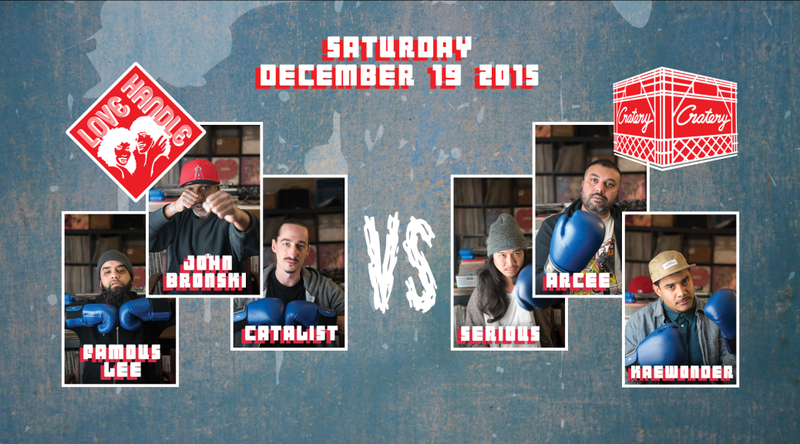 This legend of the Toronto underground music scene has carved a name for himself in the city’s music history. 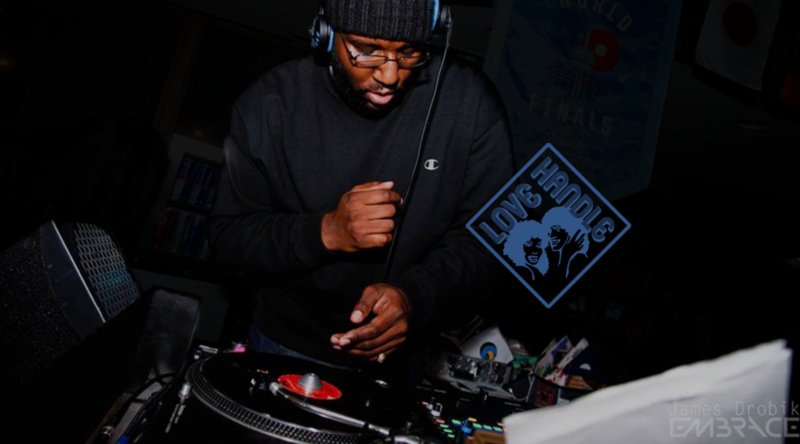 Whether through his influential radio show Vibes N Stuff on CIUT in the early 90’s, or his long running residency at the Bump N’ Hustle events, Lopes has held it down like gravity. 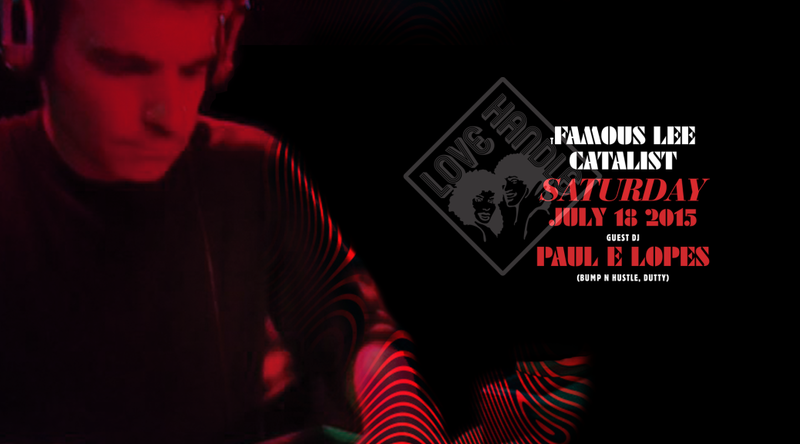 Love Handle is extra hyped to play host for Paul’s second tour of duty as part of our Foundation Series and we really hope that y’all can come out and Handle some Love on a Summer Night.